Hello again, little buckaroos! 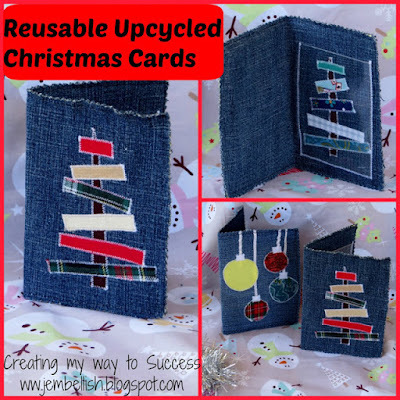 I thought it was high time to feature a new bunch of repurposed ideas that have caught my eye recently. It's rad and it's a roundup! Ready to be enchanted? Here goes. This brainwave from Jill in Australia is so dang brilliant. She created re-usable holiday cards, with a clear window inside. Insert your own message and pass it on to a new recipient. She made hers from recycled blue jeans. They are adorable - and can be used over and over again. 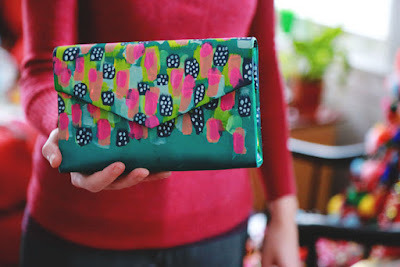 From Aunt Peaches who needs no introduction (she has become a Cher-like single name entity of crafting), a deliciously simple tutorial on painting thrift store clutch purses. So striking and chic! And I bet every one of us has at least one plain little 'pockabook' tucked away, just begging to be jazzed up. 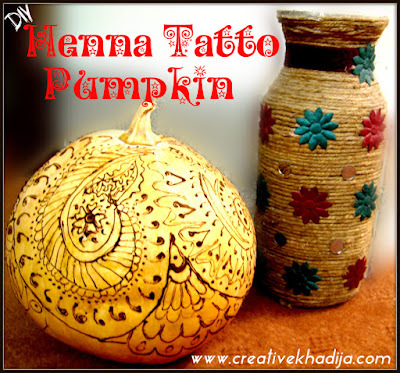 A cool idea from Khadija in Pakistan: apply henna designs to a pumpkin! She used real henna and a traditional applicator cone. But if you have somehow run out of henna, or possibly your neighbor hasn't returned the cone she borrowed, why not Google easy henna designs and use a Sharpie? A lovely and different Halloween look! From Divya in India, something so beautiful you will blink in shock. She makes custom wedding and celebration jewelry from real live flowers. Maybe not what is normally thought of as repurposing, but I had to include it. This photo of her most recent set says it all! From Sara in Israel, this mini chandelier, made from colored paper clips and a slice of plastic bottle. I like her idea of making several to create a unique mobile. You could have fun with these in all kinds of places - hey, how about hung from the ceiling of a school locker? So delicate and lighthearted - love it! Finally, an awesome post from Betsy, the world's greatest inventor of new antiques. She takes old homeless window screens and stencils upon them, with the classiest results. What a beautiful way to reclaim something vintage. That's it for this time! Did you love something you saw in today's roundup? Go tell the creator! We all appreciate a compliment, ya know? Hope you enjoyed the rodeo. Have a day! 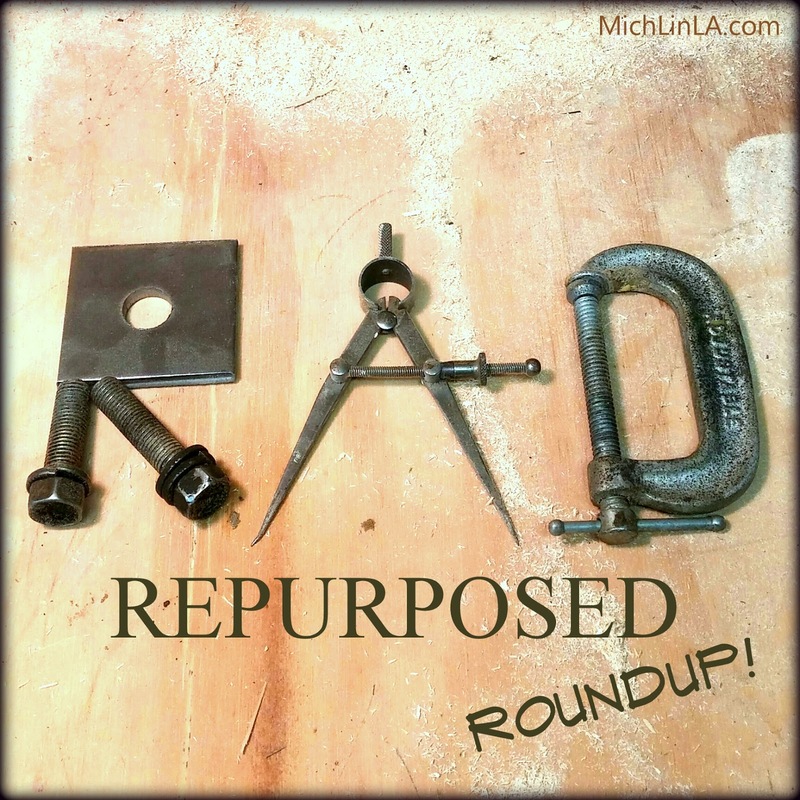 Interesting roundup dear Mich! Thanks for sharing my Henna pumpkin idea. You know what I enjoyed most? You featured people from different countries & continents..Asia, US, Europe, Australia..Nice to see my fave blogs featured here! Oh my goodness, what a fabulous roundup of repurposed treasures. I love the reusable Christmas card idea...I love them all. Thanks so much Mich, for including my stenciled window screen. I'm addicted now! Thanks so much for including my cards Mich! 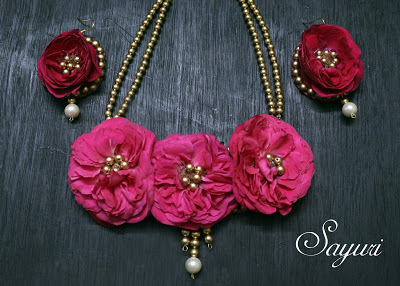 What a great round up - I love them all, but the flower necklace is just adorable! Super roundup! I would never have thought to "tattoo" a pumpkin with henna!